Welcome to the future of family entertainment! 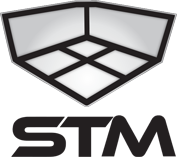 Superior Trampoline has always had one vision-to provide the industry's most innovative products and solutions to make small business owners successful for many years to come. STM has achieved this with patented state-of-the-art cable deflection trampolines, interactive lighting solutions like Prismatic Explosion, and trampoline integrated game systems like Trampoline Ninja. From highly space efficient Ultimate Warrior Courses to RFID wristband control systems, we have the tools to give you the competitive edge for your entertainment center. We offer turnkey parks and supplies, including mats, pads, and springs of the best quality at the best prices. All of this put with a heavy emphasis on taking care of every customer makes STM the preferred partner of family entertainment centers worldwide.